> WinSleep Monitor by MollieSoft is the remote viewer for WinSleep. 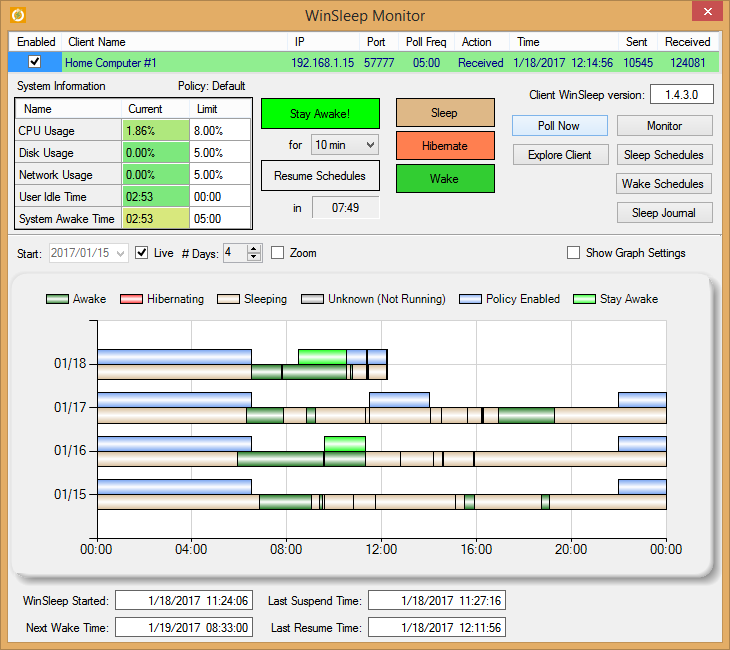 > Shows WinSleep programs running on any number of remote computers, including timeline graphs and sleep journals. >Sleep/Hibernate/Wake remotely. > Connects to WinSleep clients by IP address or computer name. > Connection is encrypted and secure: WinSleep authorizes the attempted connection by monitor IP address/computer name/password. > See your WinSleep from anywhere!